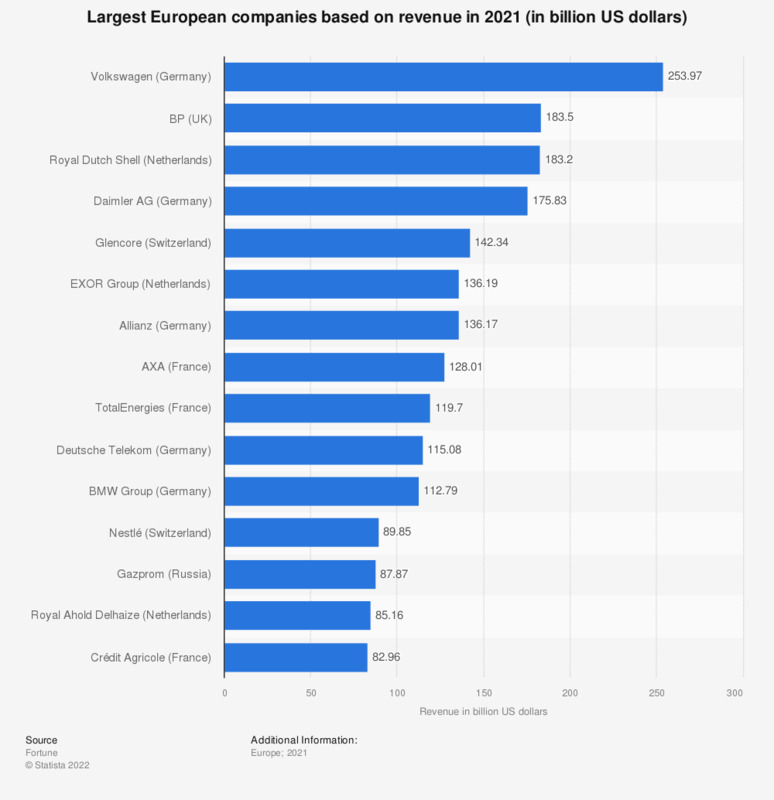 This statistic presents the leading European companies based on their worldwide revenue in 2017, in billion US dollars. During this year the German car manufacturer, Volkswagen had a revenue of over 260 billion US dollars, the largest of any European company. British Petroleum had the second largest revenue in this year at over 244 billion US dollars, followed by the Swiss trading and mining company Glencore at 205 billion US dollars.